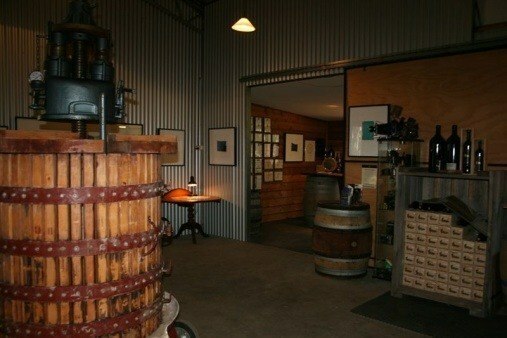 One of the Great Little Wineries! Cape Grace was planted in 1996 by Robert & Karen Karri-Davies whose family have been part of the Margaret River region since 1875. Cape Grace’s handcrafted, single vineyard wines are generous with the flavour and characters of our unique Wilyabrup sub-region. The vineyard is managed under organic principals and traditional wine making is used, with our reds gently hand plunged and basket pressed. With depth, style and character our wines have earned an impressive array of medals, reviews and followers over the years. Discover one of Margaret River’s Great Little Wineries when you visit – the authentic, rustic tin-shed-in-the-forest winery and during spring you can delight in the magnificent display of wildflowers. Cape Grace is a real family affair – originated, owned and run by Robert and Karen Karri-Davies – with a fascinating local history. 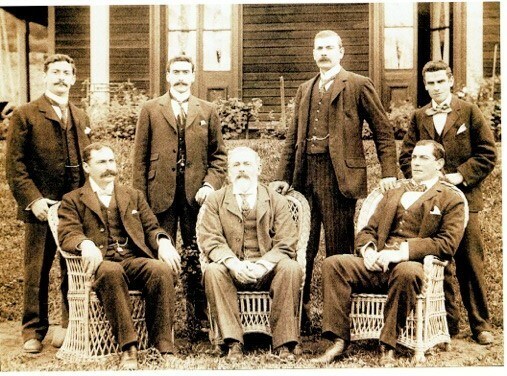 In 1875, Robert’s great grandfather, MC Davies (pictured centre of the front row above), built a timber mill at Karridale with jetties at nearby Hamlin Bay and Flinders Bay to ship timber to England and the Far East; he also built the Cape Leeuwin lighthouse so his ships and others would not run aground in the treacherous waters. Later, he established a livery stable and way station at the railhead near the banks of Margaret River. In 1996, one hundred years after the Cape Leeuwin lighthouse was built, Robert and Karen planted their 15-acre vineyard on the headwaters of the Wilyabrup Valley. From the start they set out to produce handcrafted, single vineyard wines managed under organic principals. Their belief that ‘great wine is grown in the vineyard’ was of vital importance, so when the farm that Dr Tom Cullity originally wanted to establish Vasse Felix on became available, Robert and Karen knew they had a prime grape-growing site.